The days of wearing a bed sheet with holes cut out for eyes are over. Those costumes were so problematic, they were always sliding all over the place, blinding trick-or-treaters and tripping kids up. How disappointing for a spirit to see that their costume is the lowest bar out there? It's about time those ghosts get more respect! There's not much that can make a ghost cheery, but this glamorous costume might send a shiver of glee through their vapor. Phantoms don't ask for much. Every once in a while there's a rogue spirit looking for revenge or wanting everyone to get out of the house they once lived in. Usually, those poor specters are just looking to move to the other side. Maybe they even want to let us know where that chest of gold was hidden before they go. This Halloween, when your child wants to channel her inner bogey, let her do so in style. 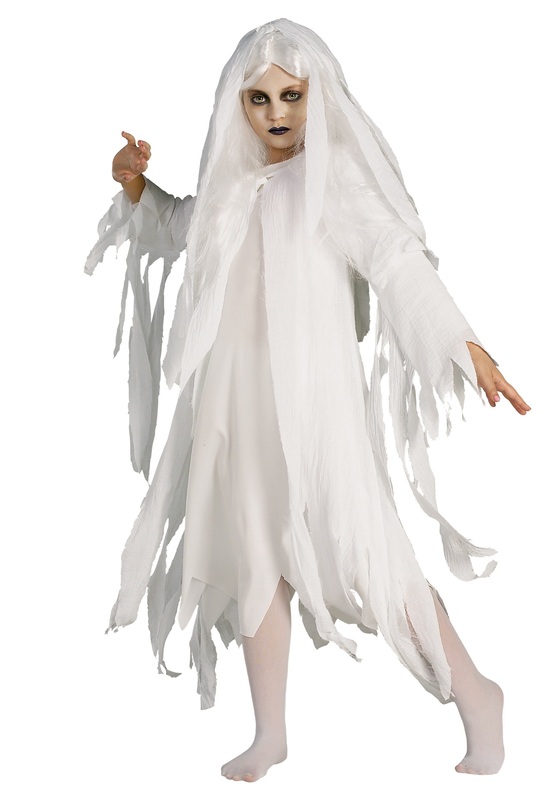 This ghost ensemble will impress all the souls in the great beyond, the white hooded robe paired with the long white wig has the mysterious countenance that might even spook a spirit. Just don't take her trick-or-treating at that abandoned Victorian house at the end of Oak Drive, you don't want the resident ghost to think some young sprite is trying to take his place. When your child is haunting the streets this Halloween she'll feel like she's straight out of a scary story. Be sure to practice your moaning and chain shaking before she fully transforms. When she does, she's sure to be boo-tiful!